Corona MAX Steel Spade with 15'' Straight Blade, 54'' Straight Handle by Corona Clipper, Inc. at Halo Grow Box. MPN: AS 90040. Hurry! Limited time offer. Offer valid only while supplies last. Solid steel end cap under the red grip allows for tamping. A heavy-duty, pre-sharpened, straight blade provides superior digging and prying power. Solid steel end cap under the red grip allows for tamping. A heavy-duty, pre-sharpened, straight blade provides superior digging and prying power. Heat-treated, 12 gauge blade features a closed back design that prevents dirt buildup and ensures strength. Attach the rubber foot pad to either side of the blade to reduce user fatigue and shoe damage. Powder-coated paint offers a smooth, comfortable feel. Durable, aerospace-grade steel handle. Limited lifetime warranty from the manufacturer. ?Handles are made from aerospace grade steel and designed for extreme pulling and digging power. If you have any questions about this product by Corona Clipper, Inc., contact us by completing and submitting the form below. If you are looking for a specif part number, please include it with your message. 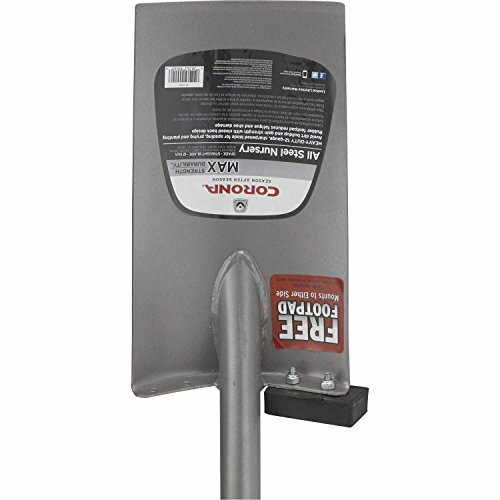 Ajc Tools 117-sgs Shing-go Shovel, 47.5"